The starting point of toolbox is activities organised during the annual Researchers’ Night event (ForskarFredag) since 2005. (More details can be found at ForskarFredag.se). VA is a non-profit association that aims to promote dialogue and openness between the research community and the general public, particularly young people. One of its aims is to promote new forms of dialogue around research that engages people. VA’s philosophy is that dialogue should always start with people’s questions, interests and concerns rather than the information the researchers themselves want to communicate. 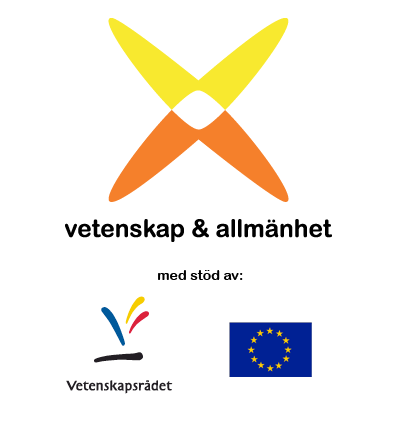 This toolbox was developed by Vetenskap & Allmänhet, VA with funding from the Swedish Research Council and the European Commission.